More relevant today than it ever was. The perfect T for any high pressure situation. This version has a classy gold foil print. The artwork comes from a beautiful poster designed to keep up spirits when war looked imminent in 1939. Unfortunately, the designer is as yet untraced. The crown is based on that of George VI and the typography is beautiful. 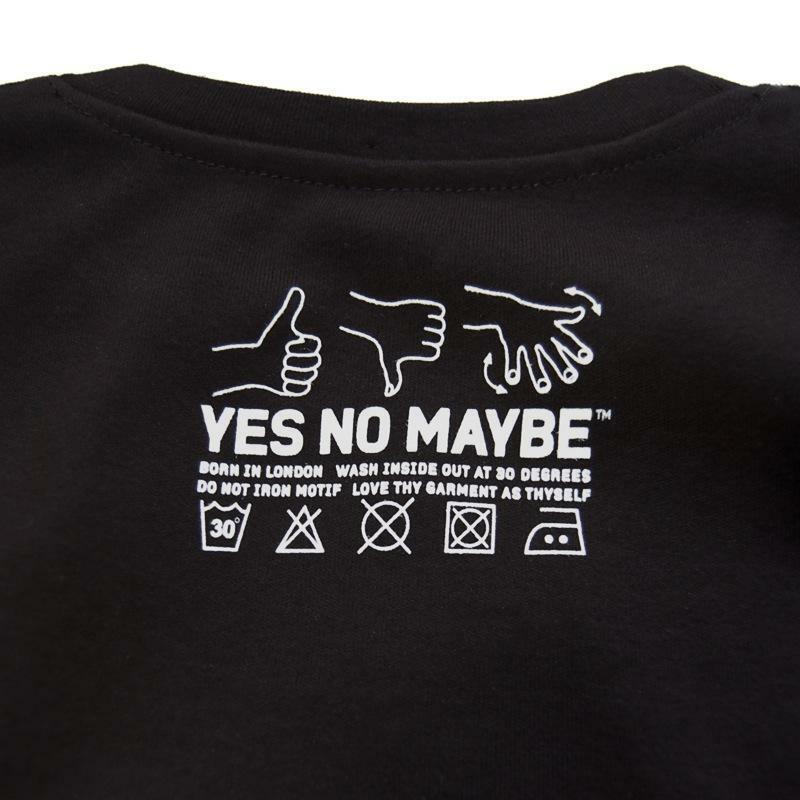 In true Yes No Maybe spirit, we were mesmerised by the poster when we first saw it and gave it a brand new life on a T shirt—the only Keep Calm and Carry On T Shirt endorsed by Barter Books, the home of the original World War Two poster. 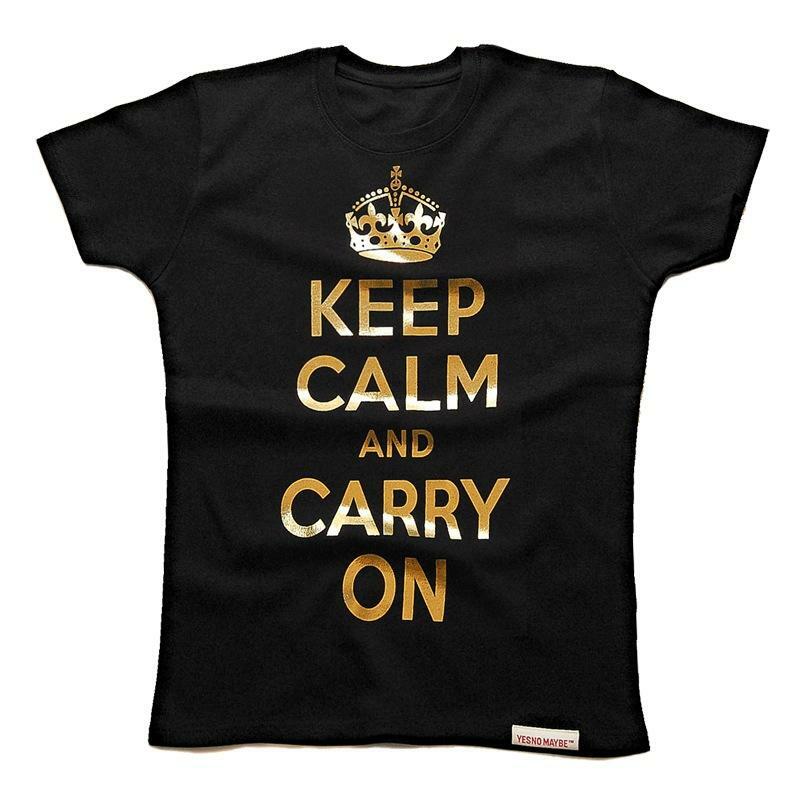 As the saying goes: ‘Keep Calm and Carry On’. 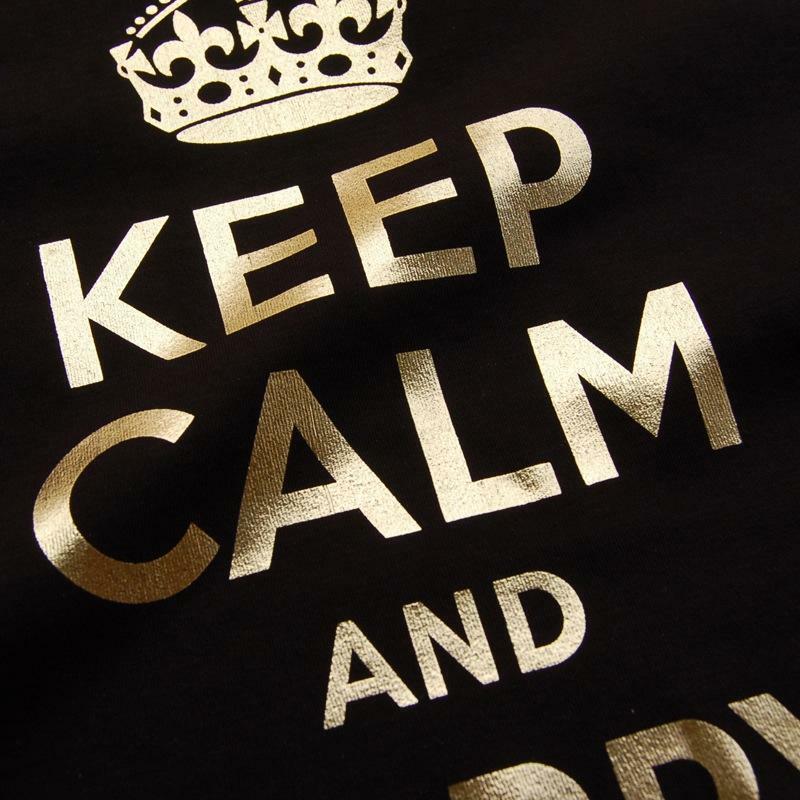 A note to all our loyal friends… Beware of copycat T’s and imitations of this design out there! Our use and promotion of this design for well over two years has not stopped a scoundrel stealing the idea from us! Please support honest hardworking creative designers and don’t line the pockets of leeches. Washing instructions printed on neck.